Nominations for the TIME Dealer of the Year award are due August 2. The national award, which recognizes new-car dealers for exceptional sales performance and distinguished community service, is held in partnership with Ally Financial and in cooperation with the National Automobile Dealers Association. Nominations are submitted by the state and metro Automotive Trade Association Executives (ATAE). As part of its sponsorship, Ally will donate $10,000 to the winner’s charity of choice. The ATAE who nominates the winner will also receive $5,000 from Ally to make a donation to a charity of their choice. Ally will also donate $1,000 to charitable organizations selected by each dealer nominee. 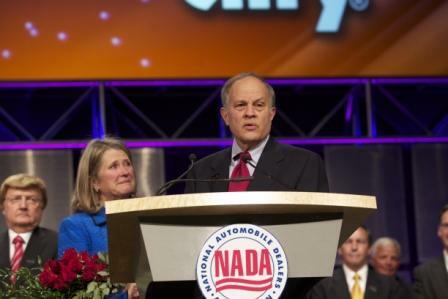 The 44th annual TIME Dealer of the Year award will be presented at the NADA Convention and Expo in Orlando, Fla., on Feb. 9, 2013. For more information, visit www.timedealeroftheyear.com.